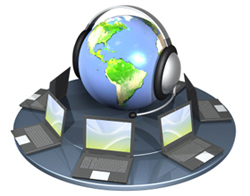 Webinars are a convenient and cost effective way of learning without the need to leave the home or office. PharmaGuide's webinars cover the drug discovery industry, chemistry, biotechnology and immunology. These can be delivered exclusively to a single organization by arrangement; for example, two bespoke webinars on the drug discovery industry were presented in 2014 to employees of CLS Communication based at several European locations. Alternatively the webinars are marketed by a third party as part of their professional development offerings. These include the American Translators Association and eCPD webinars.